Getting ready to put your house on the market? 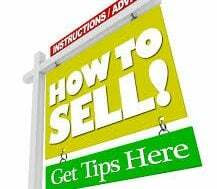 Everyone hopes for a quick and lucrative sale but not everyone understands that they can play a role in how quickly their home sells and sometimes can even have a little influence over the selling price. How? Staging and preparation. Staging your home can take many forms and while it isn’t guaranteed to get you more money when you do sell, but any extra effort you put into the presentation of your home can only have a positive effect and will definitely help you to interest potential buyers more quickly than if you hadn’t bothered to spruce the place up at all. 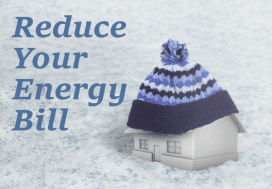 It can help you compete at the right price, which means a shorter period of time on the market…and who doesn’t hope for that? 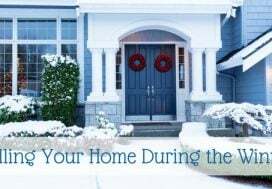 With suggestions from Houselogic, a website by the National Association of agents, what follows is a staging checklist to help you get your property ready for showing. Don’t feel you have to work your way through the entire list, just select a few ideas that you feel are most relevant and do-able within your time frame. Remember that some effort now should pay off in the long run. Every little bit helps! On mantels, shelves and anywhere else you’re using decorative objects, go for symmetry. Balancing items within a space is naturally more attractive to the eye. Use lamps to make sure rooms are both well lit and finished. A nice lamp can fill an empty corner as well as brighten up a room. Scrub away soot stains from your fireplace. While you’re at it, clean or replace the old screen. Are your rooms crammed full of furniture? Consider removing a few pieces to make the room feel more spacious. Spend a few dollars on coordinated accessories like accent pillows and throw blankets for a splash of color that can modernize and brighten up a room. Help buyers imagine their life in your home. Pack away some of those family photos and arrange furniture in conversational groups. Buyers will be able to see how your house could work for them. Clear as much as possible from counter tops. Choose one or two decorative items to stay, such as fresh flowers or a bowl of fruit. Pack up all but one full set of dishes. Do the same with glassware, cutlery, cookware and pare down everything you’ve got jammed into your cupboards. Your belongings will look more attractive, you’ll be showcasing storage space and it’ll give you a head start on your own packing! Kitchens are hard-working spaces. Consider freshening up cabinets with a coat of paint or stain and some new hardware. It doesn’t have to be expensive but can have a huge impact on the overall appearance of the room. Seriously evaluate your appliances. Will a good scrubbing be enough? Do your best to bring them back to their former glory but if appliances are dated and past their best, replacing them may be in your best interest. 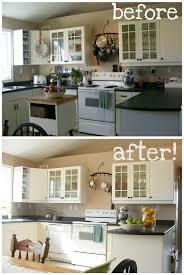 Scrub dirt, grime, and stains from walls, cabinets, the fridge and backsplash. Don’t forget the shelves and containers inside the fried and the handle as well. And get rid of those fridge magnets! Have you got a pantry? Tidy it up, leaving some empty space to make it look bigger. Store items in jars, baskets or canisters to make it look cared-for. Set the table for a nice dinner. Visual aids help buyers imagine their new life in your home. Go gender neutral in the master bedroom. Not too frilly or flowery and not to dark and masculine. Pack up all out-of-season clothing. You don’t need it right now and it will make your closets look larger and feel more functional. Not using all of the bedrooms? Consider converting one into a home office, sewing room, or exercise room. Show buyers what they could do with the space. Remove televisions or video games from bedrooms to create a serene setting. The magic word is “clean”. Scrub the walls, floor, shower door, even the ceiling needs wiped down. Every surface that comes in contact with steam should be cleaned. Remove hard water stains on faucets and shower heads. Again, not difficult and well worth it. Try vinegar! Spend extra time scrubbing that tile grout and re-caulk around the tub if necessary. If all this cleaning is too much for you, consider hiring a house cleaner for an afternoon or a full day. For the cost of a nice dinner out, they could have the bathroom gleaming for you in a matter of hours! Remove clutter from the counter top, tub, and top of toilet. Clean surfaces until they gleam. Pack up and put all of your personal products away and out of sight. That’s what medicine cabinets and the drawers around the sink are for. If its old, throw it out. 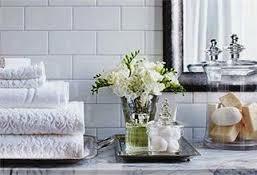 Create a luxury spa look with a fancy soap dispenser, fluffy white towels, a white shower curtain, and a new bath mat. Try a decorative basket or tray and a scented candle or two. These items won’t set you back much and they can have a huge impact on the overall appearance of a bathroom without requiring much effort at all. Fix leaky or running toilets and replace broken or ill-fitting toilet seats. Clean out your drains, and deodorize if necessary with baking soda, boiling water, or vinegar. Takes 10 minutes. 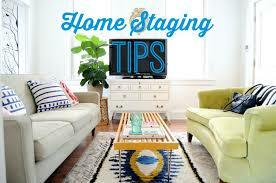 For more tips and suggestions, please see “Staging Tips To Help You Sell Your Home – Part II“, to be published shortly. If you have any questions or concerns, please feel free to contact me, I would be happy to chat. If you are considering selling your home, please call me to arrange a free, no-obligation market evaluation so that I can help you understand your home’s value in today’s market.